Come by and share your experiences with us at Booth #1301 in Atlantic City! 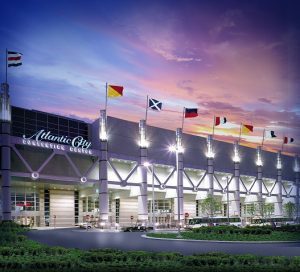 During the week of September 24-28, 2018, our office and warehouse will be closed as all of our staffs will all be attending the NAEC Fall Convention and Trade Show in Atlantic City, New Jersey. We will therefore be unable to make any shipments during that week. To prepare for this, we are asking that our customers review your anticipated requirements for WECO Door Detectors and LED Lighting components for that week, and place your orders to arrive to us no later than the Thursday, September 20, 2018. This will enable us to be sure we have the time to get the shipments out no later than Friday September 21, 2018. We thank you for your consideration of this request. We want to make sure that our customers are not inconvenienced by our attendance at this very important NAEC Convention and Trade Show, as it provides us with the chance to meet with our customers who will be attending, and provide them with the information on our products and services. Our booth number is 1301. Come by and share your experiences on any WECO elevator parts. We look forward to meet you in the show. Thank you very much for your long-standing trust. This entry was posted in Uncategorized on September 12, 2018 by Weco Admin.